Does this title mean anything to you? For me, it was summer comfort. No matter where I was around noon time, I would tune in and listen to famed radio broadcaster Paul Harvey give his daily mid-day reports in his distinctive voice. His perspectives on the current news, culture, and trends of the day were entertaining and informative. My favorite segment was “The Rest of the Story” — “little known or forgotten facts on a variety of subjects with the key element of the story held back until the end.” Those segments brought home the point to me that stories sometime take awhile to fully develop so don’t make up your mind too soon. January 19: FYI- Allegiant Airlines I wrote about my first time experience with this discount airline. I tried to fly again with Allegiant last fall to the same destination (LA to Idaho Falls) and learned that not only does Allegiant only fly on certain days to different locations, they also only fly certain times of the year. I was told their routes are seasonal which translated means: they decide to fly when they decide to fly. Boo. This inconvenience really made a mess with the prospective trip I had planned to take. The “season” for this route just happened to open up again in November and will be closing again next week. Luckily, I could get in one more trip to visit my kids before it goes dark again. What a shame though. Unless my travels coincide with Allegiant’s up and down scheduling, I am out of luck with this wallet-friendly airlines. The Rest of the Story: Make sure your route is “in season” before you get all excited about saving money with Allegiant. 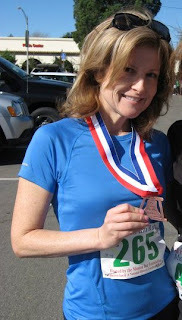 May 18: Meet Dawn Critchfield- Marathon Runner Dawn was one of the inspirations for my foray in to running. While my running hasn’t been the most glorious experience, Dawn keeps racking up miles and medals. This past fall, Dawn qualified to run in the Boston Marathon !!! Congratulations Dawn!!! The Rest of the Story: If you stick with your goals and work hard, dreams can come true!!! 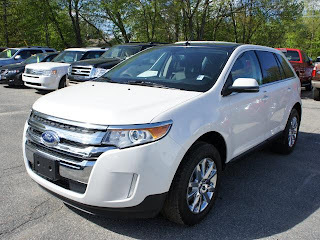 June 5: Buying a New Car Last May, I had the privilege of buying the car of my choice, a 2013 Ford Edge SEL. Well, since then, I’ve had some bad luck with my great car. The problems had nothing to do with the car; it is a remarkable vehicle. No, the misfortunes had everything to do with the driver — me 🙁 First off, let me say that I firmly believe that new cars attract cops. Case in point: I have received not one, but TWO blasted traffic tickets since May. The first was for allegedly not stopping at a stop sign. The cop had major attitude and accused me of something I knew I did not do. When I challenged him on it, he said, “Well, you didn’t stop long enough.” Ha!!! I knew that there is no such thing as having to stop a certain amount of time in order for it to be considered a stop. So, I decided to fight the ticket. I went to court all prepared to prove my case and lo and behold the nasty sheriff didn’t show, which was an automatic win for me!!! And $248 got to stay in my pocket. Ticket number two was for speeding. Yes, I was going a little too fast on a street I rarely travel. This time, the cop was very cordial and told me if I didn’t speed again between the time of the ticket and my court date, he would have the judge dismiss my ticket. Two more weeks to go and I will again be keeping $248 for myself. Yippee. The Rest of the Story: Don’t assume you have to pay a traffic ticket just because they send you a bill in the mail. You can fight City Hall and win!!! November 14: Really? Disneyland Resort Without Kids? My husband and I had the opportunity to discover Disneyland from an empty nester point of view and had a lot of fun. Well, I went back to Disneyland during the holidays with my daughter, son-in-law, and 2 year old grandson. It was my grandson’s first visit and it was so much fun seeing again the park through a child’s eyes. The Rest of the Story: Disney Resorts are a great activity, no matter who goes with you and what you do. November 29: Long Distance Giveaway I had been lamenting about how difficult it is being a long distance grandparent and shared the opportunity from Hallmark for one of my readers to win a recordable storybook. I’ve found that these books are a great way to connect with grandchildren across the miles. 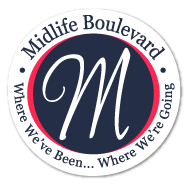 Well, a reader, Gail T., shared with me that those recordable books aren’t just for grandchildren and grandparents. They can also be used as a way to rekindle family traditions with your grown children. When her children were little, Gail’s family tradition was to read, The Night Before Christmas every Christmas Eve. Gail gave her grown children (now in their 30’s with children of their own) a copy of this classic with her reading it to re-establish a cherished family memory. I love that idea. The Rest of the Story: Family traditions go both ways on the family tree. There you have it, the Mid Life Guru’s very own, The Rest of the Story. Did you have anything happen in 2012 that had a Rest of the Story ending?